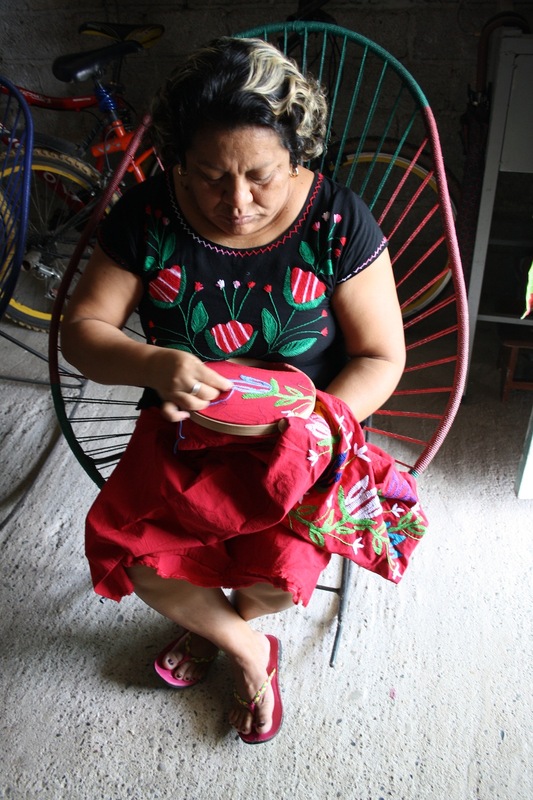 I have been working with artisans to create new handicrafts for years and I am still surprised (and admittedly often frustrated!) by results, but it’s always a good lesson in communication and culture! 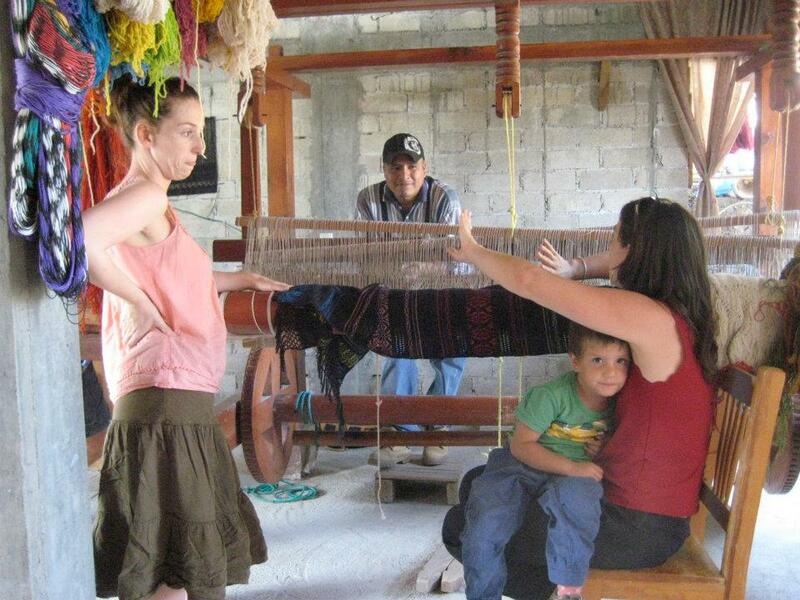 Here are my top tips for trying to avoid serious miscommunication, frustration and miscommunication in Mexico, based on years of trying to understand artisans! Lilia the queen of relative time and ‘mañana, mañana’! As a European, and a general good girl, I have an inbuilt clock, which means I naturally want to arrive at the agreed time. However, here it is safe to assume that the time agreed with an artisan (or anyone else for that matter) will be at least 20 minutes later, minimum. This can be tough to handle if you’ve literally run out of the house thinking ‘I’m late, I’m late!’ and you arrive sweating to find… no one. But that’s ok, I now think of it as a little ‘me time,’ when I can do some wistful thinking, enjoy the view, catch my breath… It’s actually quite nice. This is because people feel mean saying ‘no,’ so in order to avoid such terrible discomfort they try to say it as little as possible. This can be difficult when you would like an answer to a ‘yes/no’ question. You have to learn the degree to which a ‘yes’ means ‘yes’ through other factors such as how interested they look, if its something relatively easy, how often they’ve let you down before and, most importantly, if they actually do it! I still make assumptions. I assume that a key element, such as I want these red tops to be red, has been understood with out explicitly saying ‘I want it to be red, no matter what!’ Inevitably, the one thing that slips my mind to mention seems to be so glaringly obvious once I get my pieces back! There are a million tiny and huge things that can get in the way of even the simplest of tasks, a roadblock, a rainstorm, a fiesta…. This means you don’t always get what you want, when you want it or how you want it. Sadly there is only one way to deal with this – accept it! Oh and factor it in with any promises you make anyone – always have a ‘no-control’ clause! …and wonderful! They can lead to pieces you never imagined possible, because they are made in a space where two minds and two (or more) cultures meet and create something entirely new. 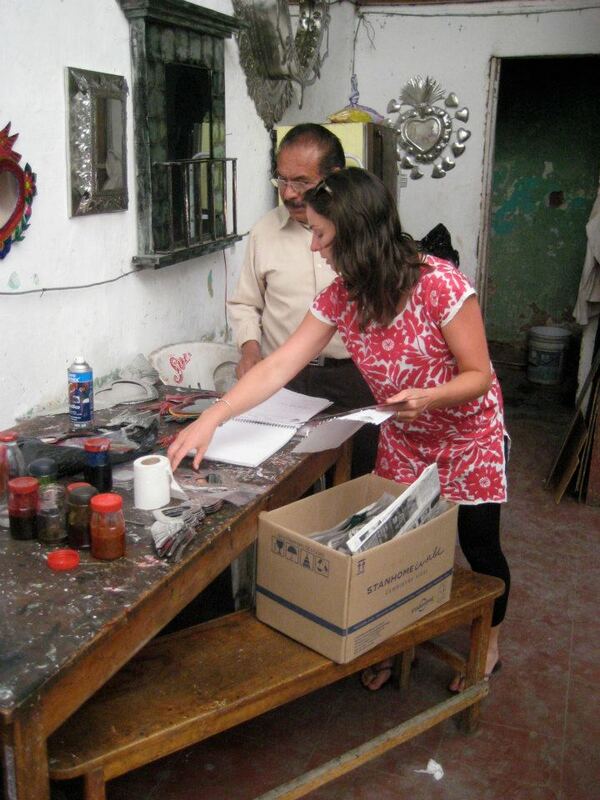 Arturo and I discussing an order, we’ve created lots of things together, which have been both surprising and fabulous! Layla and Fizzy Meerloo are Chido Bueno a small business with the big idea of brining the wonders of Mexican handicrafts to the world. 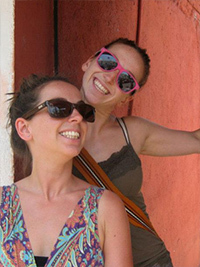 Fizzy is an artist and social scientist, based in London and Layla is a translator and anthropologist living in Oaxaca. They share a love for Mexico and all of the secrets yet to be uncovered. Visit their website or follow them on facebook to keep up to date with their latest products. I have only been following your blog for the past month or so, but have enjoyed reading what you to say. I hope you don’t mind my plugging your site on mine. 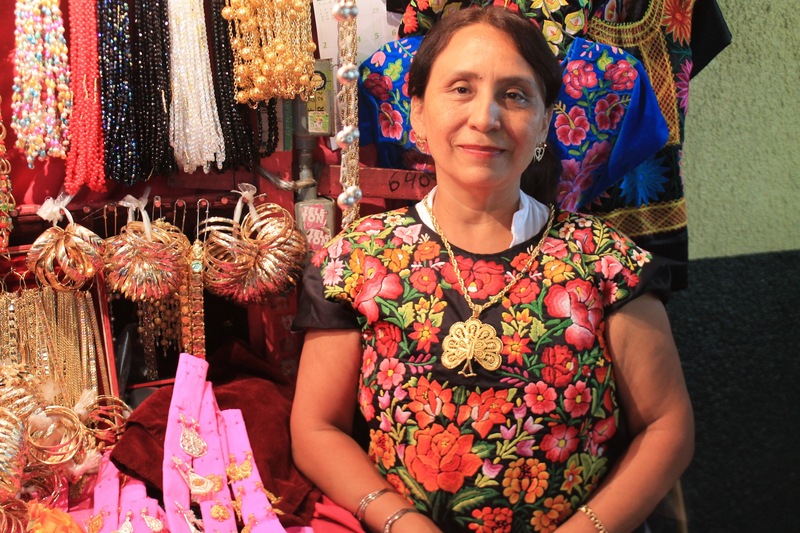 I want to write about others who are sharing what they have learned here in Mexico. It’s very interesting seeing our different perspectives. Keep up the good work! Sure, adelante!! I’m really glad you like the blog! Layla really tells a story that so many people can relate to I think. Humorous and truthful for sure! Thanks for the comment.